The Hero Achiever is a simple confection. Hero says the old Achiever did well in pockets. So well that when Hero set about working on this bike, they decided to retain the name. The bike is priced at Rs 61,800 ex-showroom Delhi for the drum brake version. But the one to buy, in my book, is the disc brake version which is just Rs 1,000 more than the drum brake. But let's start at the beginning. 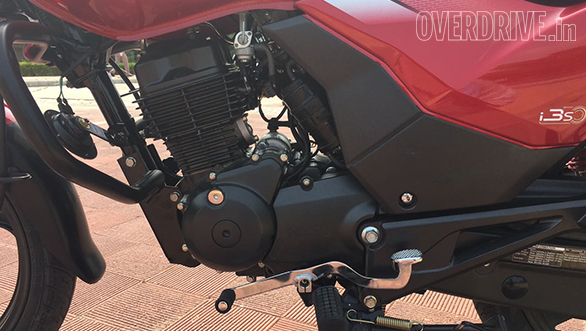 The Hero 149.1cc engine isn't all-new. It now meets BS IV and that is a lot of tuning work. To that end, the engine has new ignition maps, an updated CV carburettor, an evaporator as well as a substantial exhaust with a new catalytic converter. The engine makes 13.6PS at 8,000rpm which is class par and it makes 12.8Nm at 5,000rpm which promises excellent rideability. Hero says 50kmpl under test conditions (WMTC) and 60kmph should take 5s. 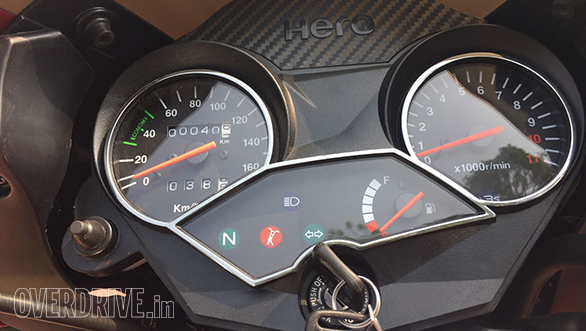 Hero says the Achiever chassis has not changed in any significant way. The wheelbase and steering geometry remain unchanged. The bike gets a 240mm front disc and is 139kg at the kerb. Our test bikes wore 80/100-18 Ceat Secura Zooms. We understand that Hero had to tread the line between spec and emissions equipment very carefully to balance pricing as well as economy concerns. It's a well-made but admittedly simple-looking motorcycle. 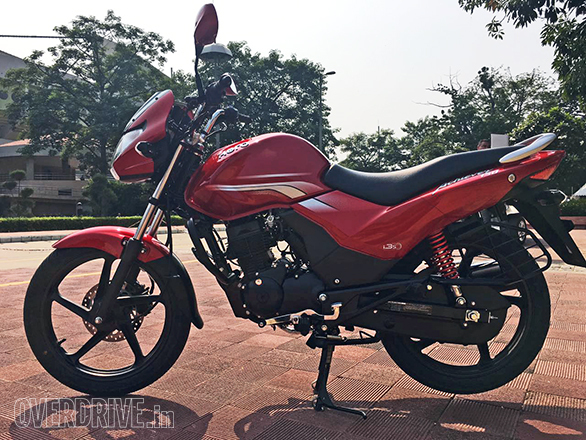 Hero clarifies that the Achiever is a 150cc commuter by design and intent and not a "160cc boy racer". This intent means a relatively conservative approach because that is what the customers want. Despite the simple, straightforward lines though, the build quality is very promising and finish levels were good too. 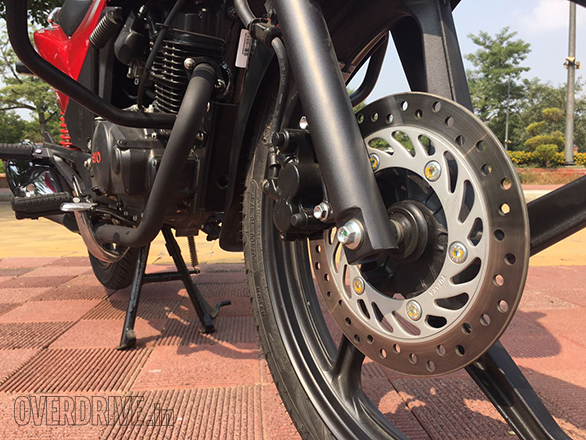 For a detailed image gallery of the 2015 Hero Achiever 150 with i3S, click here. It's eager all right. The Achiever can be ridden happily at mid-revs very peacefully. 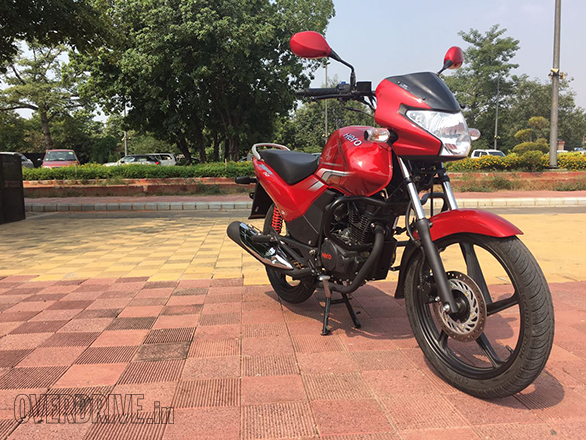 The engine is quiet and refined, and I guess Hero had the opportunity to quell the minimal vibration further to produce a notably smooth motorcycle. That being said, the engine sounds a bit thrashier once speeds rise but vibration doesn't worsen, and as I've noted with recently new or renewed Hero engines, they don't mind being thrashed hard either. The gearbox felt a bit notchy but since the bike was brand-new, I'm going to give Hero the benefit of the doubt. Fundamentally, this is a likeable powertrain. It isn't spectacular in any specific way but it knows its job and seems to get on with it without drama or fuss. Which, I imagine, is what the customers want. I'm impressed. The Achiever handled varied conditions at our test venue with a range of shiny, slippery tiles, patches of cobble-style stones and concrete of various flavours just to keep things interesting. In the middle of which were missing cobbles and tiles, the old missing (small) drain cover etc. All this was swallowed without any drama. The suspension is almost plush - I need a good clean road to verify this - and I think Hero has chosen a good set-up for the role. There were only U-turns and fast sweepers on our test course, and I can only say that I found the Achiever surprisingly grippy and enthusiastic. The brakes, similarly, were strong and progressive, and I could not find any glaring issues in the dynamics department. Nice bike! Hero's Achiever is a bit staid and boring in nature and role but that is no accident. The customer, they say, is evolving from a 125cc class motorcycle, and in that sense they're fundamentally a conservative group of people. Which is why, a large-looking commuter with good economy, good refinement and enough performance is required. That, in fact, describes the Achiever rather succinctly, no? The price is good too. Rs 62,800 ex-showroom Delhi makes the Hero roughly Rs 3,000 less than the Yamaha SZ and for the money, you get a competent package. 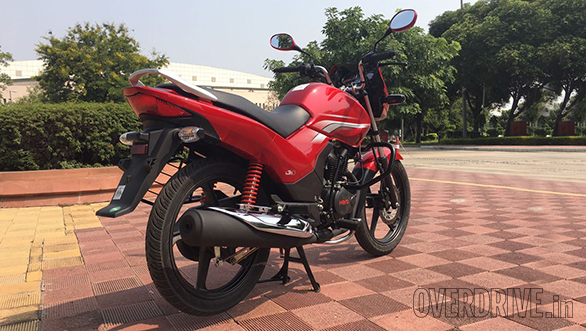 The initial impression of the 2016 Hero Achiever 150 with i3S in the video below.